Set in a quiet rural country road, the headquarters of PMcK Electrical Contractors and Engineers is not the setting you would expect for such a leading electrical contractor working with companies from across the globe. But the focus at PMcK Electrical is all about the end product and that philosophy is what has kept the business running so effectively for 30 years. 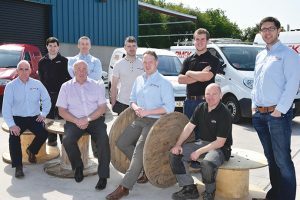 Based just between Dungannon and Moy, the company has made the most of its location by connecting with the strong engineering and food sector surrounding them and providing a local service to some of the biggest companies in the world. 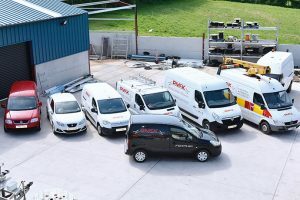 With the majority of business coming via recommendation or the result of long-term partnerships, PMcK Electrical is rightly proud of the strong reputation it has developed over the years. Established in 1986 by Paul McKearney, like many electrical contractors the initial focus of the business was on domestic work. However, not long after establishing the company, Paul’s first big break came with the award a mushroom and composr production facility and the rest, as they say, is history. But Paul has never rested on his laurels and the company’s drive to grow into new markets has helped PMcK Electrical stave off the difficulties created by multiple recessions and the challenges to the Northern Ireland economy caused by the Troubles. But having the ability to move into new markets can only happen if you have the right personnel and that is one of the key ingredients in PMcK Electrical’s success. Paul’s son, Peter, is the company’s Contracts Director and he is part of a senior management team that also incorporates two Senior Estimators, three Contracts Managers, a Design Engineer and a Switchgear Engineer. In addition to that, the company currently has over 40 employees and recently started four new apprentices – a process that PMcK Electrical regularly undertakes to boost its workforce and build for the future. The fact that many current employees started as apprentices is testament to the loyalty that the company generates. That loyalty is very much in evidence in the recurring contracts and relationships that PMcK Electrical has developed over the last three decades. Paul said, “We don’t like to focus on one area in particular and having a variety of work means that, if one type of job dries up, you have something else to rely on. In the early days, we started working in local factories and as that sector has grown, so have we. “There is such a strong engineering, manufacturing and food sector in Mid-Ulster and border areas and as a local, family company we can react to their needs more effectively. But you only get repeat business by doing a good job and that is where we excel.